Heal from painful events from your past, whether it's the end of a relationship, job loss, or losing a loved one. Let go of the past and begin a healthy healing process. You can create closure and move on today. 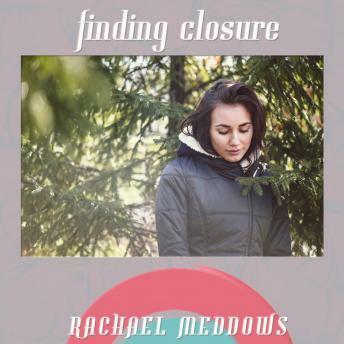 Let Rachael Meddows show you how with "Finding Closure Hypnosis". "Finding Closure Hypnosis" helps you create healthy tools for dealing with and overcoming emotional pain and helps you begin to move forward with a clean slate. Your mind will receive deep hypnotic suggestions for positive change, creating healing energy from within, addressing and removing emotional blocks, and increasing your self-esteem, self-worth, and positive beliefs for your future. The healing process is in your hands. You can find closure today and move forward into a happier, healthy future with hypnosis.